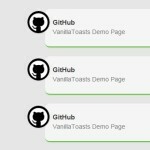 Create a basic toast message and specify the duration in milliseconds to hide the notification. Show the toast message. 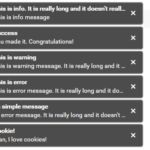 In this example, the toast message will auto dismiss after 5 seconds. 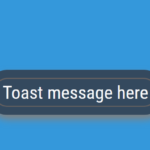 The default CSS for the toast message. 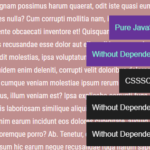 Copy and paste the CSS styles as displayed below into your web page. 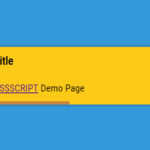 Specify the container in which you want to display the toast message. 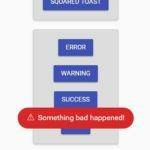 Execute a callback function as you click on the toast message. Added support for Classes. Now custom classes can be added to the toast while creating it.